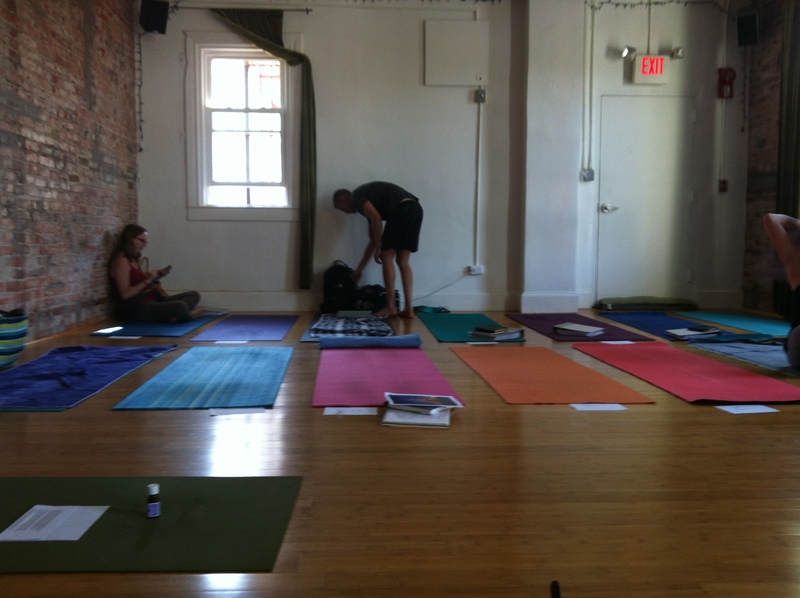 We sat scattered across the floor with our yoga mats, giant binders, and numerous readings in toe. Our teacher, the owner of the studio, led our first session and will do so for the imminent months. Two fellow teachers assisted her and there will be guest teachers throughout the course of the months. Ten years of owning a studio with her husband and 8 years of teacher trainings, I expected her to give another monotonous lesson to a group of 25 striving yogis. Not the case. I was bowled over by the passion our teacher evoked. Her discussions animate, her excitement palpable, and her mission lucid. 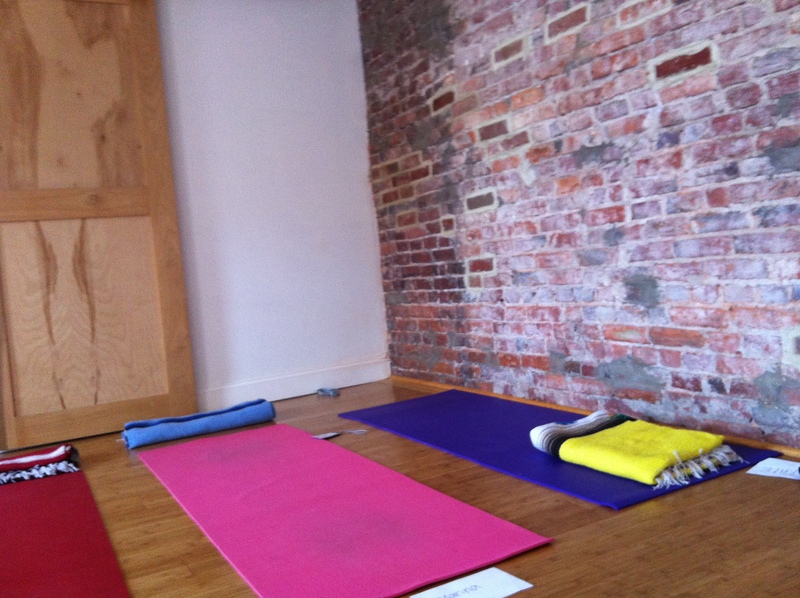 “The world needs healers,” she said, looking around the room at each of us perched on our mats. The class ice breaker was each student answered a question drawn from a handful of papers. My question was “What was the last nonfiction book you read?” I introduced myself as Grace H, because for the very rare occassion there was another Grace sitting right next to me. No duplicate Megans or Katies this time but two Graces. Seems fitting for a yoga teacher training, no? Of course, I’ve realized the emotional and physical benefits of practicing yoga over the years, but this “exercise” is actually so much more. There is an indescribable spiritual connection that develops between your inner and outer body, as you move through each asana giving yourself entirely to your breath. Not only that, but the connection you are making with the world–devoting your intentions to the sun, cultivating positive energy in your students, and attracting like energies. We discussed in detail our daily personal practices. We are expected to create a routine–1 week, one full moon, 21 days, however long it takes to form a habit. A short and long practice. As a class we discussed, various personal routines from morning crosswords to hot water and lemon upon waking to three pages of thought recording to ayurvedic cleansing. Any routine I choose to devote myself to. I have not yet resolved what my yoga routine will be but I’m thinking along the lines of a reflection of my blessings, hot water with lemon, some Om chants, and morning sun salutations (longer practice if time). This discussion created an air of excitement in me as tomorrow is a brand new day unlike today. My day was 9am-415pm, and I left energized rather than exhausted from homework readings, sitting on the floor for hours upon hours, and sanskrit lessons. I still have the entire weekend filled with yoga training, but its a chance to understand what is yoga and what gifts I want to draw on/give in my teaching. I’m not sure what is in store for me during the next 5 months. But I do know that if my day was any indication, they will be incredibly dynamic, fascinating, and rewarding months in my life. I’m so excited to follow you! Keep it up.